A South Florida community is getting ready to say its final goodbyes to a hometown hero. 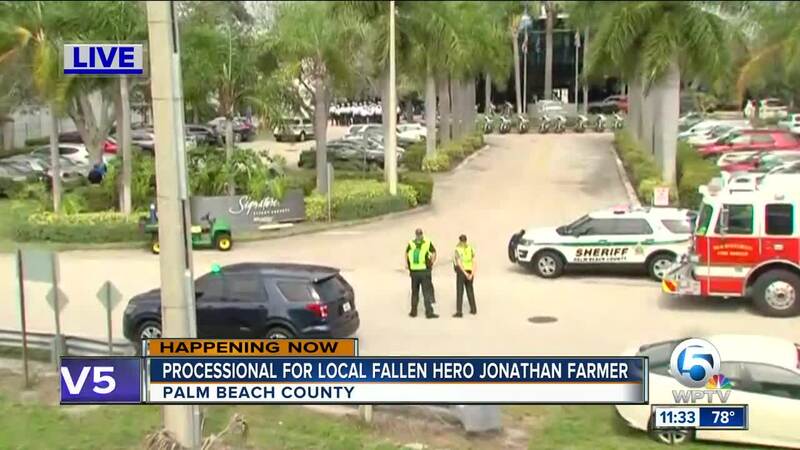 The Palm Beach County Sheriff's Office Motor Unit escorted the body of Chief Warrant Officer 2 Jonathan Farmer to a Jupiter funeral home Monday following a Hero's Return Ceremony at Signature Flight Aviation at Palm Beach International Airport. 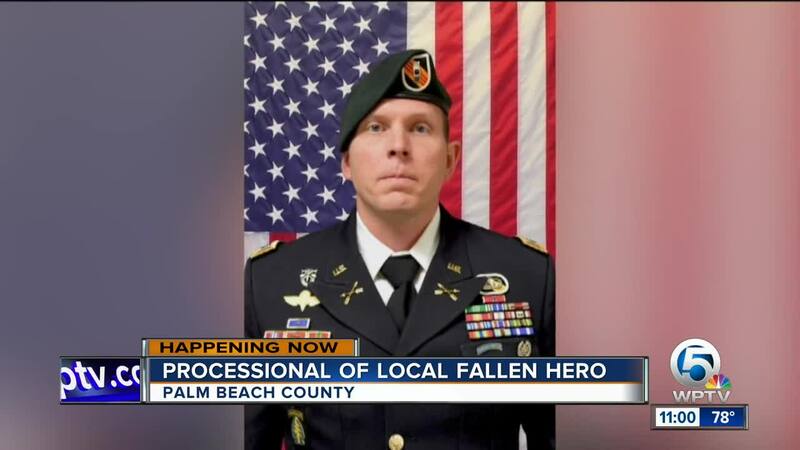 PALM BEACH COUNTY, Fla. — The body of a local soldier, who made the ultimate sacrifice, has arrived home in Palm Beach County. 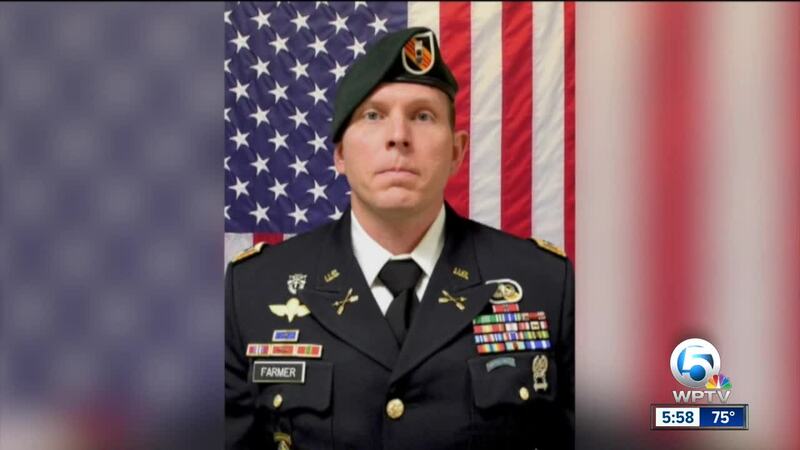 Army Chief Warrant Officer Jonathan Farmer received a hero's return on Monday. 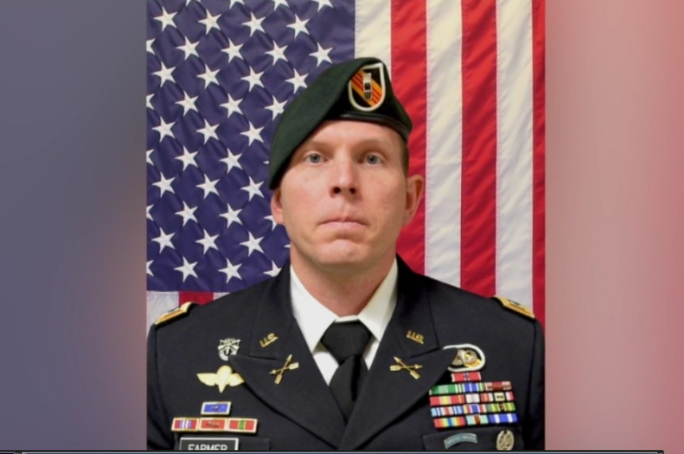 The Palm Beach Gardens native was killed last month after a suicide bombing in Syria. Farmer's body received a traditional water cannon salute on the tarmac at Palm Beach International Airport, where he was met by his wife and family. "He was an amazing husband, really the best husband," said Farmer's wife, Tabitha. Tabitha walked up and kissed the flag-draped casket. It was a quiet moment welcoming her husband home. "He cooked, he cleaned he loved the kids he loved me," Tabitha said. PBSO's Motor Unit escorted Farmer's body from the airport. Palm Beach Gardens Fire Rescue raised an American flag over the Florida Turnpike as veterans and community members lined Taylor & Modeen Funeral Home in Jupiter to pay their respects. "It's just right to give back to those that have served. It's just nice that America is now paying attention and people are coming out even though they aren't veterans to support our veterans," said Wayne Hanners, a veteran and a mourner in the crowd. Farmer served six combat tours overseas and was a decorated soldier. On Jan. 16, Farmer and three others were killed in a suicide bombing in Syria. "That ultimate sacrifice that he's given made me stop whatever else I was doing today to come here to honor him," said Kristie Zoeller, as she held an American flag outside the funeral home. Farmer grew up in Palm Beach Gardens and graduated from The Benjamin School. The 37-year-old leaves behind four young kids. 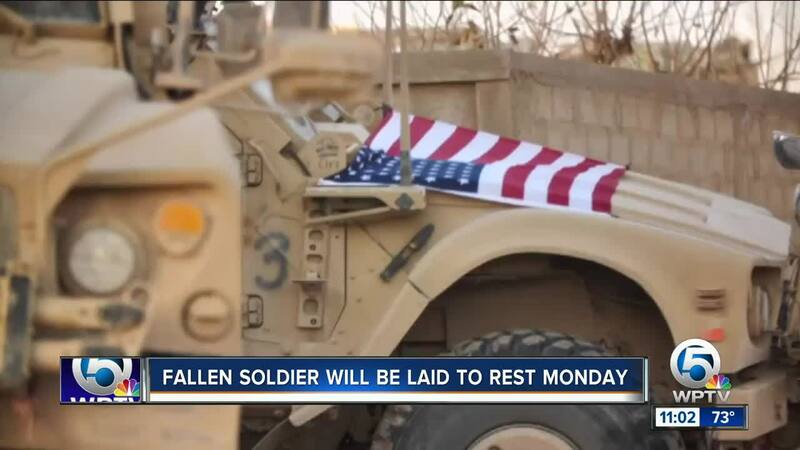 Now that he's home, his wife and family are planning to say their goodbyes, but never forget. 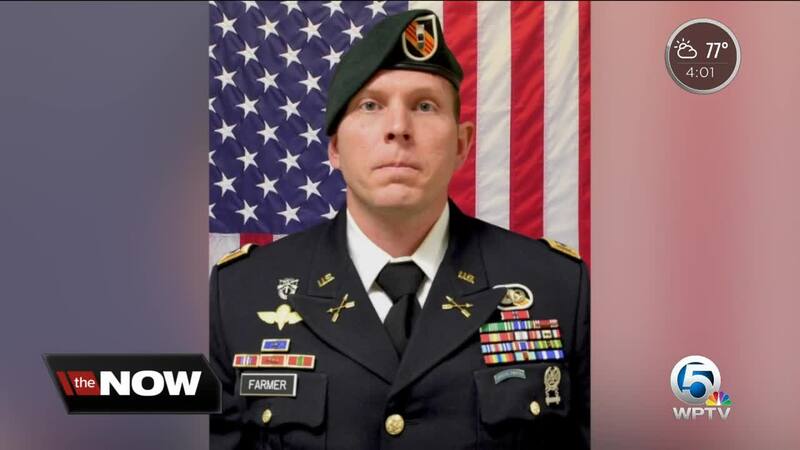 "He wasn't just a normal soldier, he was really just a part of our life," Tabitha said. 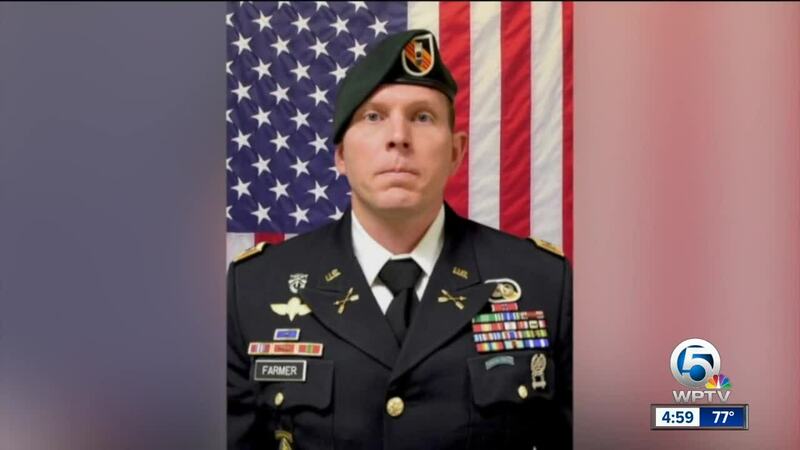 A funeral service is planned for Monday, Feb. 18 at St Patrick's Catholic Church in Palm Beach Gardens, which will be followed by an internment at Arlington National Cemetery.